When Romelu Lukaku hangs up his boots at the end of his career, he may look back and realize that one of the defining moments was his last appearance in a Chelsea shirt. In the 2013 Super Cup vs. Bayern Munich, Lukaku came on as a substitute and ultimately missed the deciding penalty as Bayern triumphed over the Blues. Just a few days later Jose Mourinho decided his young striker wasn’t ready to play for Chelsea and sent him to Merseyside on a season-long loan for Everton. The Belgian striker has spent the previous season on loan in the Premier League with West Bromwich Albion where he made 20 appearances for the Baggies and scored 17 times. During that season with West Brom, Lukaku was the Premier League’s sixth-highest scorer and outscored all of his teammates at Chelsea. Even more impressive was that the big Belgian was just 19 years of age. Because of this he earned a loan to a more reputable club in Everton. 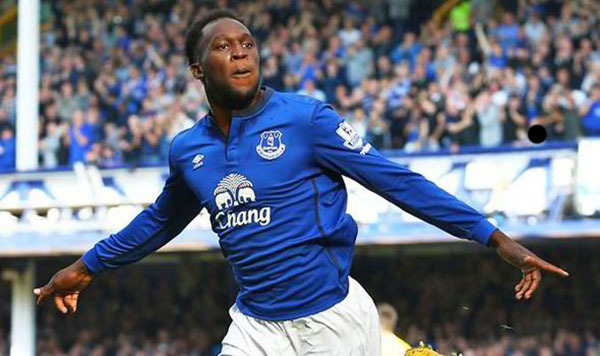 During the 2013-14 season spent on loan at Goodison, Lukaku had an up and down campaign and scored just 10 Premier League goals with 5 assists. Despite that, Everton decided to make Lukaku its club record signing as they reached an agreement with Chelsea for £28 million. Big Rom had now found a permanent home and he has quickly settled in. At only 22 years of age Lukaku is making his claim for one of Europe’s best striker’s. As he scored on Monday against Crystal Palace in a 1-1 draw to save a point for Everton, the striker had reached 50 goals for the club in his 100th appearance. He became the fourth-youngest player to score 50 Premier League goals behind only Robbie Fowler, Michael Owen, and Wayne Rooney — who was at Goodison Park on Monday to watch his former team. In fact, no man in the top flight this season has been involved in more goals in this calendar year than Lukaku with 27. With all the success and headlines that fellow strikers such as Luis Suarez and Robert Lewandowski have garnered, its time to realize that Lukaku is right there with them. Due to his big, powerful frame, Lukaku was most often compared to former Chelsea striker Didier Drogba. However, Drogba was playing for Le Mans in France at the age Lukaku is right now and didn’t sign for Chelsea until age 26. He went on to score 100 goals for Chelsea in 226 appearances for the club. 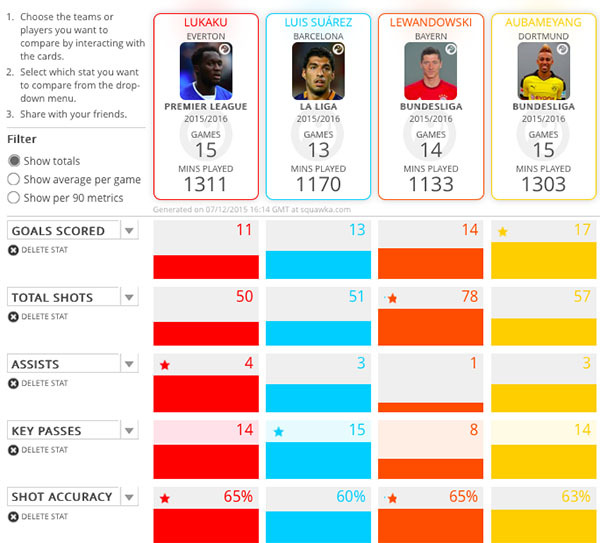 The rate at which Lukaku is going is a beautiful thing to behold. He is at the age where his incredible natural talent has combined with his experience and confidence needed to create a lethal goal scoring force. He could be the best striker in the world by the time he is 26. There isn’t a thing he can’t do. He is good in hold up play, much faster than people think, and a willing passer. He can score with either foot and also can be a deadly header of the ball. His scoring rate of 1 goal every 2 matches for Everton is also elite. Everton supporters should cherish this talent while they can because the big Belgian will soon be spoken of in the same breath as Luis Suarez and Robert Lewandowski.